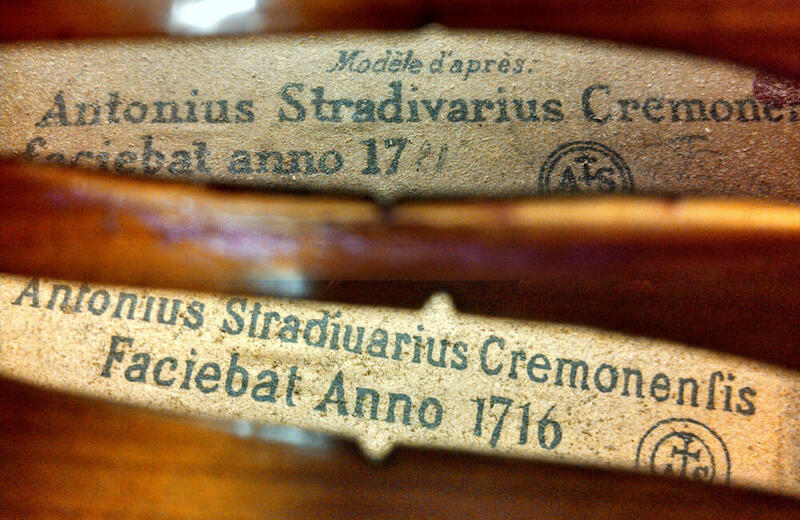 Old violins containing an official looking “Stradivarius” label often surface, for instance, while digging through a yard sale or a deceased relative’s attic. The label may mean that Antonio Stradivari, the legendary violinmaker from Cremona, Italy, whose violins are now worth millions, crafted the instrument, though odds are greatly against that possibility. A recent “Strad” was sold at an auction at Christie’s for 3.5 million dollars in 2005. Though the label may look official, it is no indicator of a genuine Strad. 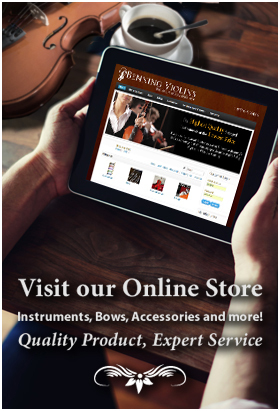 With that kind of price tag in mind, many people who find a Stradivarius label are hopeful that they have found a real Stradivarius violin. Instead, they are likely dealing with a different instrument with its own interesting history. Imitations of the original label began to be manufactured throughout Europe in the 19th-Century. The labels were not at all intended to be a trick or forgery but actually pay homage to the violinmaker and even a specific instrument. The labels were meant to indicate that the violin was in the fashion of Stradivari’s work and that the size and dimensions are copied from a particular instrument, made during a particular year. There are several ways to tell a real Strad from a copy. Many of the imitations have the same label but with “copy” stamped in the language of its originating country. Many of these imitations were mass-produced in both Germany and France. While not a genuine Strad, a handful of these copies are now valuable in their own right. After 1891, all imports to the United States were required to have the country of origin stamped inside it, and so “Germany” or “Bavaria” might be stamped by the label, or “Made in Germany” after 1921. If this is the case, it is a factory-made copy and not much more than a hundred years old. Ultimately, the only sure-fire way of knowing whether you have a real Strad on your hands or not is to take it to an expert who might be as close as the local violin shop. Unfortunately, the real Strads are almost entirely accounted for, although there is a one-in-a-million chance of a new one showing up. Like winning the lottery, it is highly unlikely, though still possible, and greatly hoped for.